Laura Smous: "Marketers Don't Control Buyer's Journey. Consumers Do" Laura Smous: "Marketers Don't Control Buyer's Journey. 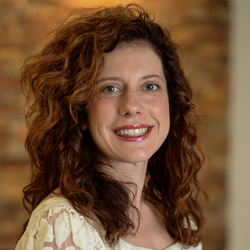 Consumers Do"
My today’s guest is Laura Smous, Head of Product Marketing at TapInfluence. On the second day of our inaugural Influencer Marketing Days show in New York (which kicks off just two short weeks from now!) she will unveil the trends that will drive influencer marketing in 2017 guiding the conference’s audience through the best ways to integrate them into powerful influencer marketing campaigns. Question: While the concept is centuries old, influencer marketing became the “buzz word” only a couple of years ago, and advertisers’ interest in it is only getting stronger. What do you think about influencer marketing? Laura: It’s here to stay. The influence economy has changed the way we buy things—forever—and marketers don’t control the buyer’s journey any longer; consumers do. Around 85% of marketers planned to do influencer marketing in 2016, with the vast majority expecting to spend as much or more on it in the coming year, meaning it has moved from an experimental, one-off, disjointed “test” to a legitimate part of many integrated marketing strategies. This makes sense, given that influencer marketing capitalizes on all the best aspects of social media marketing and content marketing, yet it is far more effective because it uses the voices of trusted authorities with already engaged audiences. We’ve seen it outperform all other forms of traditional digital advertising, by about 11x, when done correctly. With consumer trust in brands at an all time low and the prevalence of ad blocking, there are few, if any, other ways to reach consumers reliably, measurably and in ways that create purchase intent. The challenges of reaching consumers with traditional advertising will only get worse, as millennials grow their spending power (1.4 trillion by 2020). They’re digital first, looking for brands with a belief system built-in and a focus on social good and crave connection and personalized content. There is simply no way for brands to adapt quickly enough, technically or substantively, without the help of influencers. Question: What’s the biggest misconception you’ve seen brands have about influencer marketing? Laura: Brands often get excited about the promise of influencer marketing and expect it to work overnight. They think because influencers are involved they can tell an incongruent story or push bad content through influencers and see immediate conversions to sales. What they are forgetting is that influencer marketing is most effective when it is used to create a continuous conversation with consumers. Brands that practice “always-on” influencer marketing may spike in sales around seasonal or one-time campaigns, however that is because they have been working the whole time to create continuous engagement. The results won’t be the same, if you try it one time and haven’t built that trust. All the same best practices that apply to all your other marketing strategies apply here. Understand your audience, find influencers who both reach your target audience and can credibly tell your brand story, meet consumers where they already are, and consistently give them compelling reasons to engage. Question: What top 3 mistakes should advertisers be aware of as they look into getting their feet wet in/with influencer marketing? 1. Forgetting to disclose or skirting around proper disclosure is a big problem. The FTC has quite a few things to say about that, and brands can really get themselves in hot water, either by ignoring disclosures or trying to hide them. What brands don’t realize is that it’s not worth it. They can be fined if caught, and, not only can consumers spot sponsored content a mile away, they are fine with it, as long as the content is engaging, and the influencer is honest about their relationship with the brand. 2. Not paying influencers is another mistake brands often make, when they are first starting out with influencer marketing. Influencers are creators, professionals and strategic partners. The relationship should make sense and be beneficial for both parties, to get the best results. 3. Starting off on the wrong foot by doing influencer marketing manually is also a big mistake. From an influencer selection strategy that uses audience targeting, to the cumbersome aspects of influencer outreach, communication and content scheduling, to measurement throughout, you cannot unlock the high potential return on investment without technology. It’s inefficient, and it places all the effort on the low-to-no-value activities, leaving you no time for strategic or creative. Plus, you really have no idea how you’re doing or how you did. Think about it—no one would dare begin an email marketing effort in 2016, using their email client, spreadsheets and pasted lists of names. Even very small businesses today start email marketing using a tool or platform appropriate for their size and level of expertise and activity, giving them access to open and click-through rates, as well as opt-out information necessary for compliance. In the next year or two, we will see the same thing happen with influencer marketing. Question: What is the biggest overlooked influencer marketing opportunity, in your opinion? Laura: Micro-influencers are being talked about, yet they are still very much underutilized. Generally, the smaller the circle, the greater the degree of influence. Instagram reports followers with under 1,000 followers have a like rate of about 8 percent, as opposed to those with 1,000 to 10,000, who have a rate around 4 percent. As the follower rate grows, engagement drops even further. The effectiveness of micro-influencers comes down to engagement and value. Micro-influencers often have niche interests and narrower focus, making their insights and expertise more relevant to their followers. Brands should incorporate micro-influencers into a robust influencer marketing strategy that will, over time, likely require their definition, use of and access to influencers be broad enough to include macro-influencers, “power middle” influencers, micro-influencers, brand ambassadors, brand advocates, employees, and, yes, even celebrities, as needed. True optimization means you can understand and optimize the performance of the right group of influencers, at the right time, to meet your goals. B2B influencers are also overlooked. What we buy professionally, or have bought for us, or recommend to our executives, affects us personally and deeply because it surrounds us constantly. Further, we live in a world where people’s personal and professional lives and identities are becoming almost indistinguishable from one another. People attach a great deal of personal significance to the brands they use at work, and B2B influencers are an untapped opportunity.. Question: With 2017 just around the corner, what would you recommend for advertisers to consider implementing as soon as Q4 is over (a New Year’s influencer marketing resolution of sorts)? Laura: Start now! Especially if you have a critical event in 2017, for which you want to use influencer marketing, don’t wait until you need it to do it. Use remaining budgets to get going in Q4, such that you’ve ironed out the kinks and are prepared to maximize your success going into the New Year. Question: What do you believe to be the biggest challenge that advertisers face in terms of influencer marketing, and what steps can they take to overcome it? Laura: For many brands, it still exists in a silo, without being integrated into their larger marketing strategy. This manifests in teams, strategies, editorial calendars, measurement, budgets and their technology stack. This means they are struggling unnecessarily to connect the dots, prove the value of their work and amplify the effectiveness of all their efforts. Question: Give us one main reason why marketers should attend your Influencer Marketing Days session. Laura: There is something actionable in it for everyone, regardless of their level of experience with influencer marketing or their industry. It should also spare you thousands of hours of research. Question: If you were to leave brands with one piece of influencer marketing advice, what would it be? Laura: Remember that influencer marketing works because it’s authentic. Don’t compromise that by trying to control what influencers create to tell your story. If you have a 360 degree view of the influencer, their audience and their performance going into the relationship, trust them to know what will resonate with your consumers. You’ll both get much more out of the relationship.